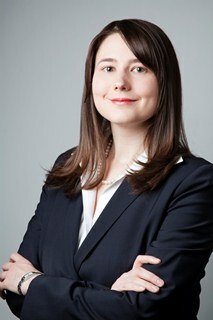 Jennifer M. Smith joined Stewart and Stewart as an associate in 2012. She has experience in a variety of international trade law matters, including antidumping and countervailing duty proceedings, customs, export controls, economic sanctions, anti-boycott, trade adjustment assistance, and international and bilateral trade agreements and dispute resolution processes. Before joining Stewart and Stewart, Ms. Smith was an associate at a large international law firm, where she counseled clients in a wide variety of industries regarding international trade law matters. She has represented clients before numerous executive branch agencies, including the Department of Commerce, Department of State, Department of the Treasury, Customs and Border Protection, the Office of the U.S. Trade Representative, and the Department of Labor. Before entering private practice, Ms. Smith clerked at the United States Court of International Trade for Chief Judge Jane A. Restani. She was involved with matters ranging from challenges to antidumping and countervailing duties imposed by the Commerce Department, injury determinations of the International Trade Commission, and the classification of imports and valuation of duties by Customs and Border Protection. She also worked on cases before the United States Courts of Appeals for the Second, Third, Sixth, Ninth, and Eleventh Circuits. During law school, she served as an Articles Editor on The Georgetown Law Journal.